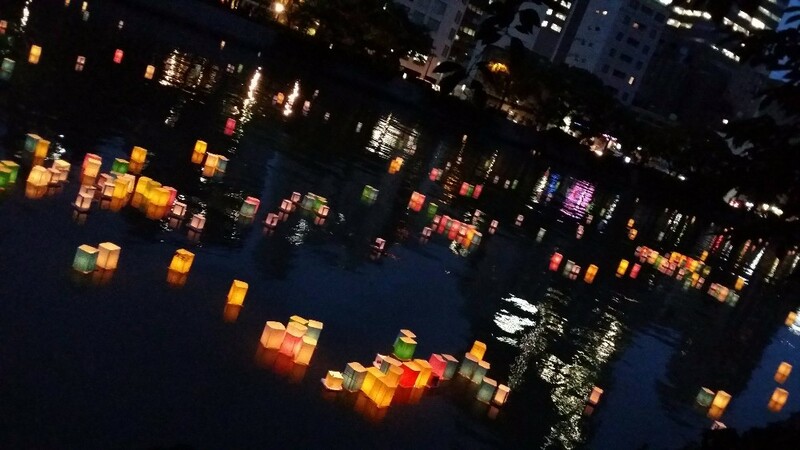 Lanterns float on the Moyoyasu River, Hiroshima. Double blooming cherry blossom at the Mint, 20 minutes’ walk from Rakurakuen! 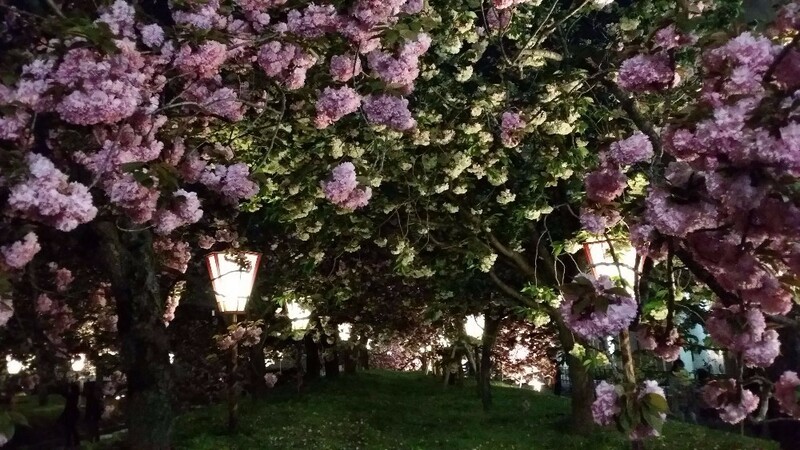 Double-blossom cherry trees in bloom at Hiroshima mint. 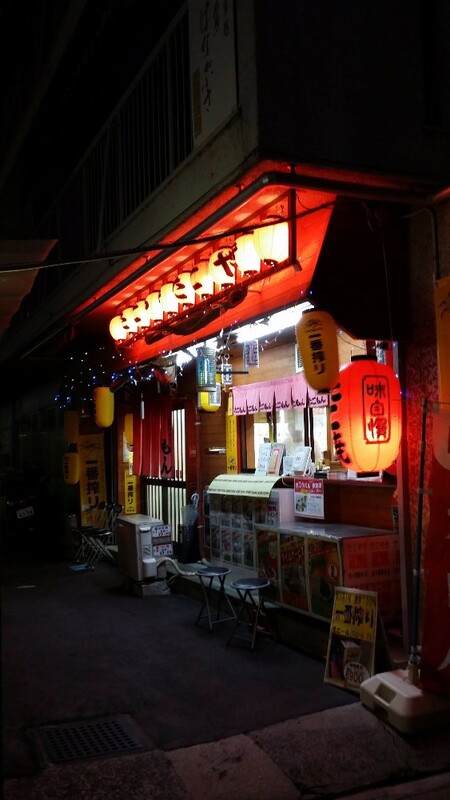 Takomon, a takoyaki bar tucked behind Rakurakuen tramstop, half way between Hiroshima and Miyajima. 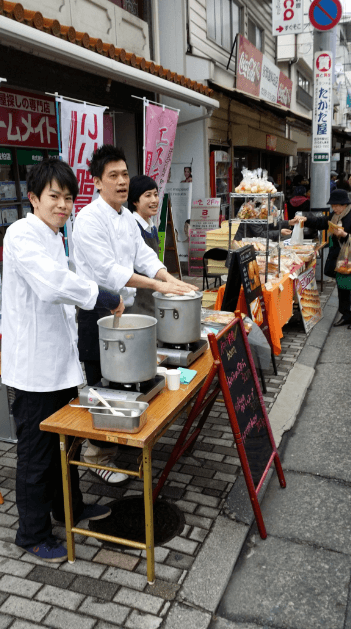 The staff of Bacca selling soup at the Rakurakuen street festival, January 2013. 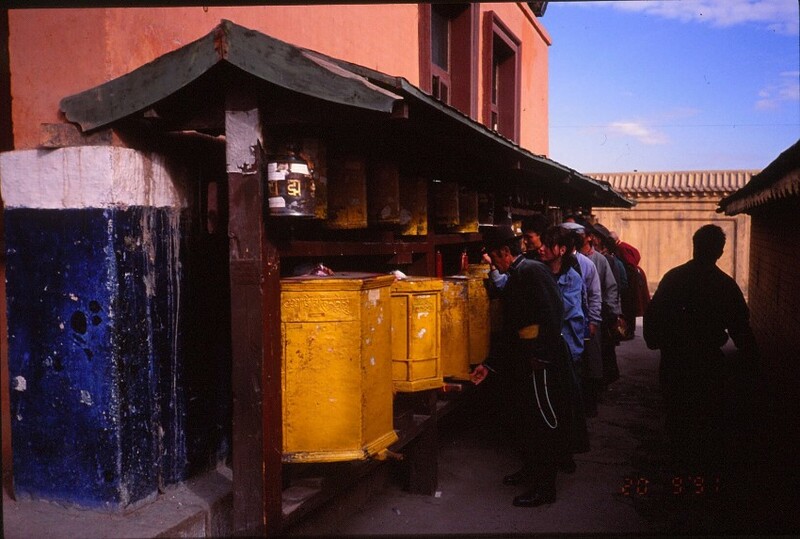 Mongolian prayer wheels, September 1991.